Is there anything more wonderful than hopping on a plane and jetting off to somewhere fabulous? For the fashion conscious woman there may be no better trip than to head to Italy. 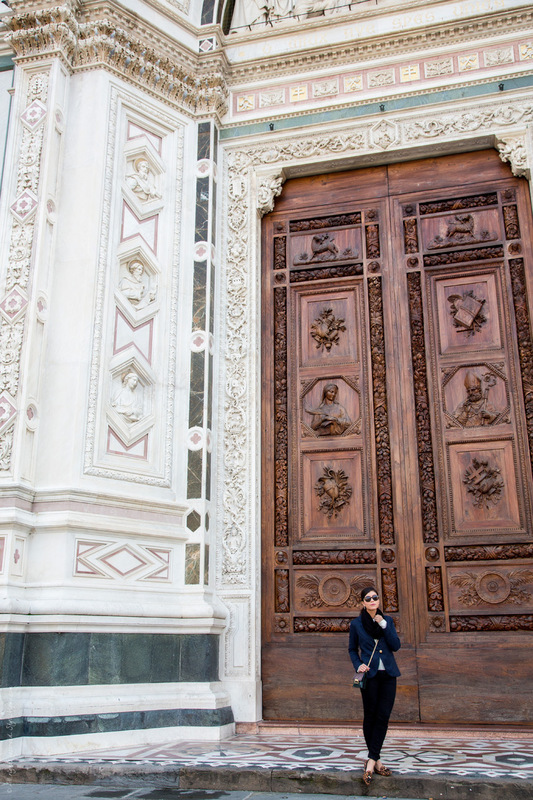 Home to amazing architecture, beautiful food, beautiful people and beautifully designed houses, Italy ticks off many travel to do items. 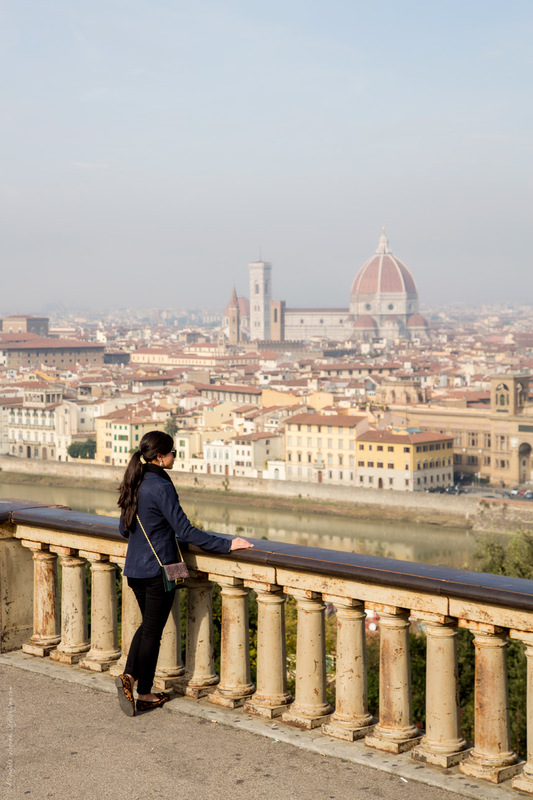 Before jettisoning off, you may be wondering what to wear in Italy. Here is my quick guide, which will have you looking great, while leaving room in your suitcase to go shopping. 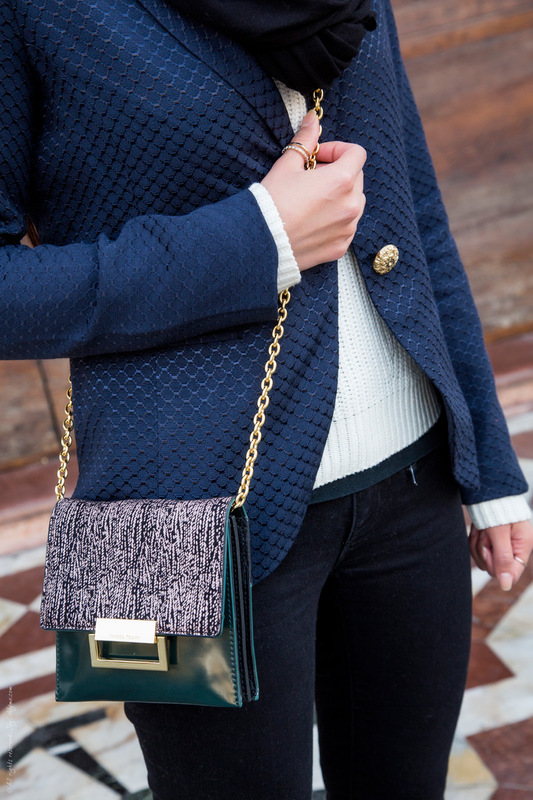 When wondering what to wear in Italy in the winter, a great option is to work with neutrals. Black, navy, white, grey, beige and blush work well almost all of the time. With these neutrals you can create many different looks. For instance, when wondering what to wear in Italy for brunch, put together skinny black pants, a white shirt and a black blazer. When wondering what to wear in Italy for the opera, keep the white shirt, pair this with a black pencil skirt and change the blazer for a plain black cashmere sweater. Being able to mix and match makes your vacation wardrobe more versatile. Less is more. 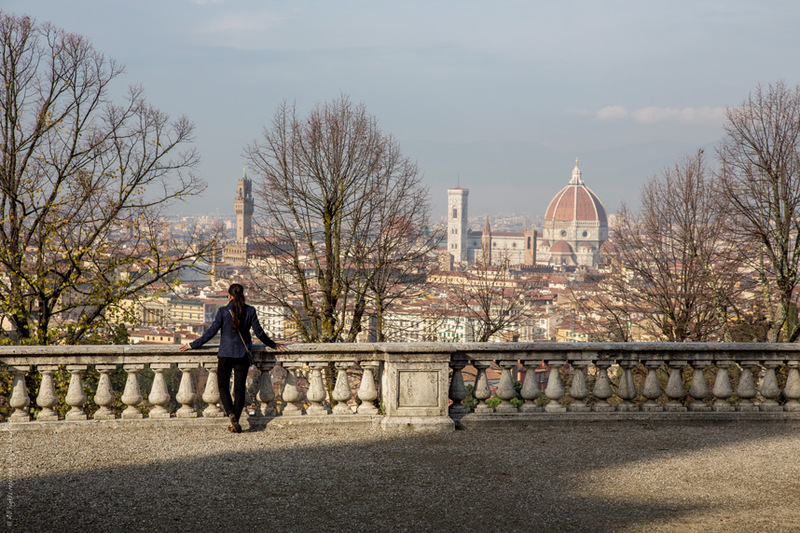 In Florence, Italy in the winter daytime temperatures generally fall in the 50’s and drop into the high 30’s at night. During the day you will generally be able to get away with a light jacket or simple long sleeved T. During the evening, transition to a blazer and scarf or trench coat. If you plan to be out and about, running around town, layers perfectly answer the riddle of what to wear in Italy in the winter. Nora Ephron, the amazing writer and director, was quoted as saying that she felt bad about her neck. She advised us all to begin wearing scarves at 43, in order to hide aging secrets. She also reminds us with her wit and whimsy to have fun, chase love and be strong. No matter your age, when wondering what to wear in Italy, be sure you have a scarf. Not only will a scarf keep you warm when there is a winter chill in the air, but a scarf adds interest to an outfit. When you are wondering what to wear for dinner, and all that is clean is a t-shirt and jeans, throw on a scarf. A scarf makes the outfit seem chosen. The care for the outfit can then translate to confidence. In the end, you look stylish, have created a layer of visual interest and will stay warm when sipping wine at a cafe. When out on vacation, somewhere as fantastic as Florence, Italy, it can be tempting to want to wear your most amazing shoes. However, when considering footwear, look for items which will let you look fabulous and be fabulous. Four inch, red soled, beautiful heels are great for dinner when you arrive at and are subsequently picked up at, the door. These same shoes are not good for walking the cobblestone streets of Florence. 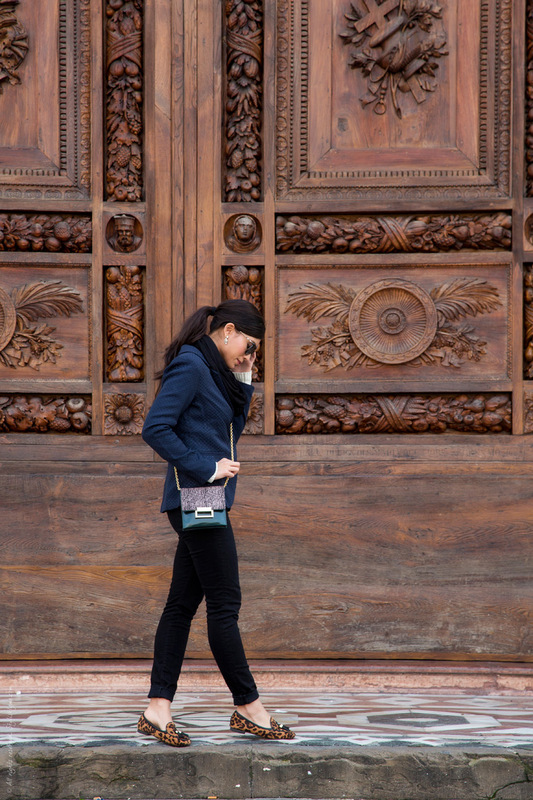 Flats are what to wear in Italy. Look for something stylish that has the right arch support. A leopard print kitten heel or ballet flat dresses up an outfit but is easy on the ankles. Additionally, as Jenna Lyons of J. Crew has said, leopard is a neutral. Wear this with your other neutrals and you will always be spot on with what to wear in Italy. 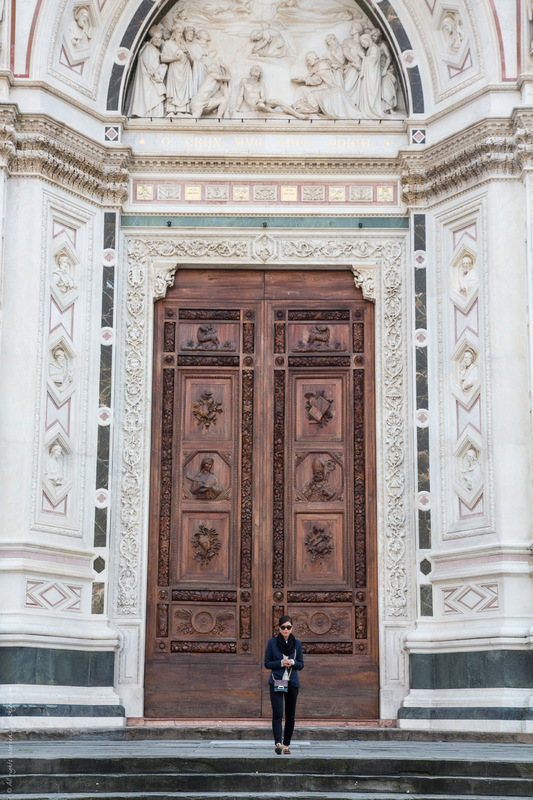 When in doubt about what to wear in Italy, opt for a look which is more dressy than casual. Carefully consider what you will be doing that day. If you are starting your morning out with a stroll around town and a bite at a hidden gem restaurant, skinny pants, a white T-shirt and a scarf is just fine. However, if you will be checking out an art gallery or show later in the evening, the simple look mentioned above will not cut it. 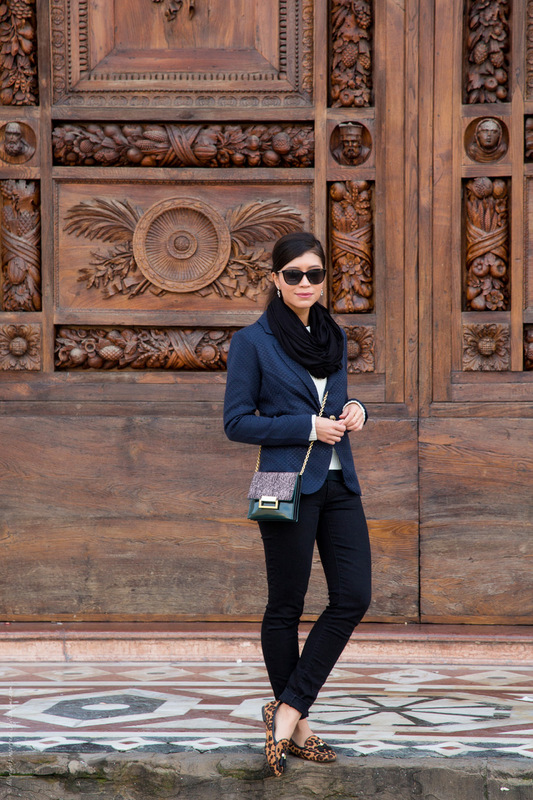 A blazer can be a girl’s best friend while traveling in Italy. Being dressed up means you are never out of place. To dress the look up even more, a statement necklace or great pair of earrings works well to give you that little bit of bling. 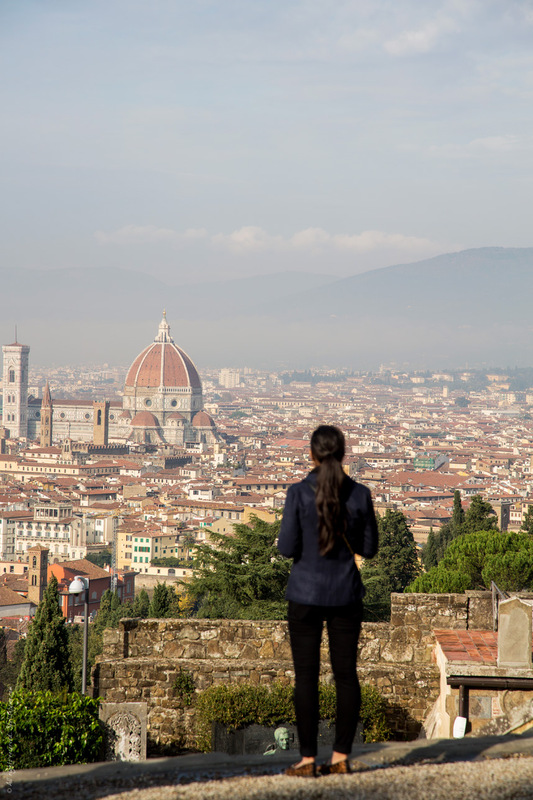 With these tips for what to wear in Italy this winter, you will be able to look flawless whether you will be checking out “David” at Accademia Gallery or you are on the hunt for the perfect glass of wine.